VICTORIA, B.C. — From one of the best places to play college baseball, to one of the best places to play collegiate summer baseball — three players from the University of Hawaii in Manoa will be part of the HarbourCats roster in 2019, including a key returning infielder. Dustin Demeter, who played 29 games in 2018 with four home runs, 19 RBIs and six stolen bases while hitting .250, will get a second season in the B.C. capital. Demeter (DEMM-ett-er) is a junior from Goleta, CA. 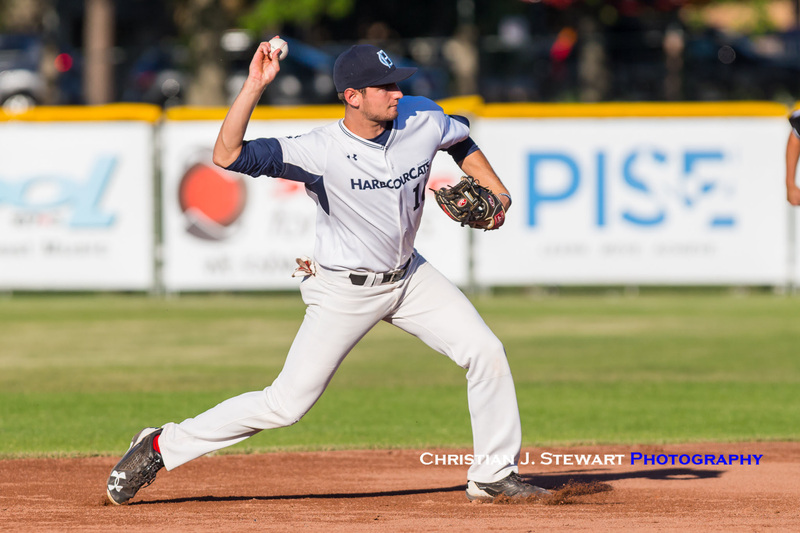 Also sent to the HarbourCats, who are entering their seventh season in the West Coast League, for the summer of 2019 by UH Head Coach Mike Trapasso, are two pitchers — both right-handers in Calvin Turchin and Aaron Davenport. From Duvall, WA, Davenport is a 6-0/180 freshman whose brother has been with the UW Huskies, while Turchin is a sophomore from Federal Way, WA, who will fill out a uniform well at 6-4/225. Turchin transferred from NWAC-JC school Bellevue, where he was 5-2 with a 4.27 ERA. Davenport’s stats as a senior at Cedarcrest are hard to comprehend — a 0.28 ERA, giving up 22 hits and striking out 107 batters in 50.1 innings. He did not give up a triple or home run last spring, and walked only 18. The fourth player announced as signing today is RHP Grayson Jones, a Dallas product who is at James Madison University, a 6-0/195 sophomore. Jones is an honours student while taking finance, the epitome of an impact pitcher who is also succeeding in the classroom. 2019 Season Tickets and 10-game Flex Packs are now on sale! Book or renew your season tickets by FRIDAY, September 21st to be renewed at 2018 pricing – saving $25 to $125 depending on section – receive free playoff tickets and be entered into a draw to win a luxury round trip for two to Vancouver on the V2V Vacations ferry!